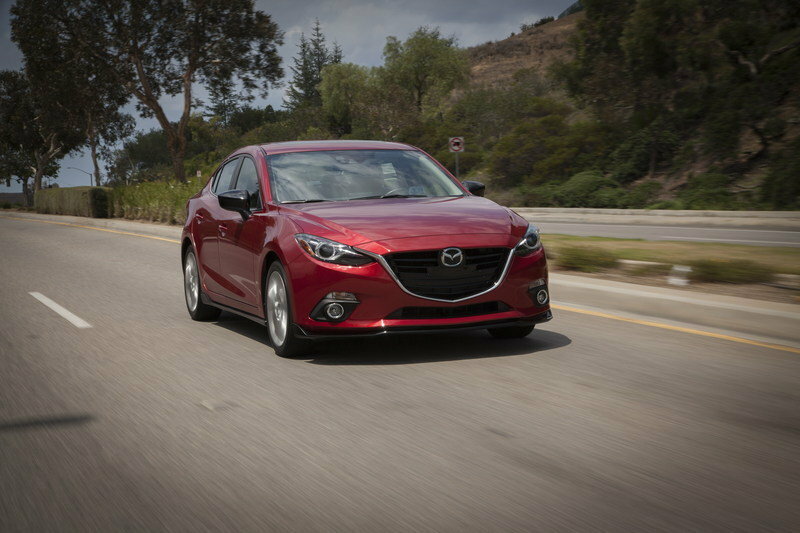 A refreshed exterior is expected to arrive next year, but for now, the 2016 Mazda3 is aesthetically unchanged from the outgoing model, once again exhibiting Mazda’s “Kodo – Soul of Motion” design language. Introduced in 2010 at the Paris Motor Show, the Kodo language first saw production expression with the CX-5 crossover and Mazda6 sedan. When the third-generation Mazda3 was introduced for the 2014 model year, it got the Kodo treatment as well. The styling cues work well for both the sedan and hatch. Starting in the front, you’ll find a large, trapezoidal grille lined with chrome, visually narrowing the car’s front end with rounded edges that lead the eye downward. A slim lower grille is bookended by optional twin fog lights with chrome surrounds, while narrow headlights sit above, sweeping rearward to help form an X-style fascia. The hood line is particularly lengthy, moving the cabin and windshield pillars towards the rear axle in what’s known as a “cab-back” design. Viewed from the side, the 3 looks sporty, thanks to a shoulder line and lower crease that suggest a raked stance. This is also enhanced with the fastback roofline. The rear uses horizontal, oval shapes that lend a sense of width to the car’s stance, including another trapezoidal depression in the hatch’s fifth door. Like the headlights, the taillights are sharp and narrow, wrapping into the car’s profile as a continuation of the shoulder line. All told, the 3 is a good looking car. The lines are flowing and attractive, tight and smooth, blending sporting intent with a sense of premium refinement. It’s modern and not overly complicated, with just the right amount tasteful flair. 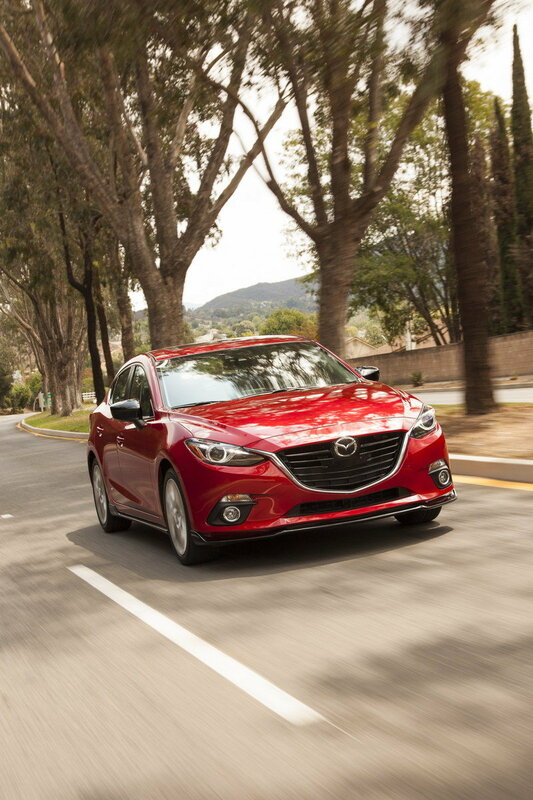 Compared to its competitors, the Mazda3 is miles away from the typical dowdy compact. Looking at the 2017 model, Mazda made some minor adjustments to the exterior design of the car. To start the front fascia and grille is new, which is a little surprising, considering the current look is only a couple years old. The changes are minor, but well worth noting. First, the grille has been updated. The Mazda emblem now sits completely inside the grille instead of overlapping the top edge of the grille. The chrome insert that outlines the grille has also changed, now terminating at the innermost edge of the headlights instead of sitting over the top, inner edge of the headlights. The horizontal louvers in the grille are also a bit larger. The inserts now feature a much smaller fog lamp assembly while the daytime running lamps now extend toward the air dam. The fascia itself sports a familiar look, but upon closer inspection there are some changes here. The corner air inlets that house the daytime running lamps and the fog lights are now a little shorter. The inserts now feature a much smaller fog lamp assembly while the daytime running lamps now extend toward the air dam. Furthermore, the air dam has changed, and is now partially overlapped by the grille. The lower corners also swoop upward just a little bit as opposed to coming to a sharp, downward point. Finally, the last change up front are the slightly revised headlamps, which now have a flat inner edge and a redesigned LED strip inside the lens. Around back there isn’t much to talk about outside of the new rear fascia, which is actually a huge improvement over that of the 2016 model. The reflectors in the fascia are now a bit larker, and that black insert is no much smaller. As such, there is a new character line that connects the reflector on each corner together. Inside, the Mazda3 is equipped with the usual gamut of standard features. The windows and door locks are power operated, with a one-touch up/down function for the driver-side window. The climate control includes A/C and a pollen air filter. The steering wheel is fully adjustable, tilting and telescoping for optimal positioning, and the rear seat folds in a 60/40 split. However, for 2016, Mazda adds several new goodies. A rearview backup camera is now standard across the line, while a variety of premium features, like radar adaptive cruise control, are available as extras. Infotainment services come courtesy of Mazda’s Connect system, which utilizes a 7-inch color touchscreen mounted centrally on top of the dash for display duties. In addition to tactile commands, this unit also accepts control via a rotary input located on the central tunnel. Bluetooth connects the user’s smartphone. Automotive audio and electronic provider Harman (which owns the Harman Kardon brand) offers its Aha system to take care of all your apps. There’s text-to-voice software to receive e-mails and text messages without taking your eyes off the road, and voice recognition to respond while keeping your hands on the wheel. There’s also Twitter and Facebook integration to keep you connected no matter where you are. Speaking of which, navigation is an available option. Sitting in the driver’s seat, you’ll find a large analog tachometer mounted directly behind the three-spoke, multifunction steering wheel, flanked on either side by complementary digital readouts. There’s also an Active Driving heads-up display that projects onto the windshield to feed the driver quick info (such as speed or navigation) just outside her field of vision. The cabin feels decently upmarket for the compact segment. Sure, there’s a bit of plastic here and there, but as a whole, the interior is a nice place to be. Red stitching offsets the upholstery in the most visible locations, like the steering wheel and door panels. The trim includes brushed-metal-look surrounds for the shifter, door handle, air vents and gauge cluster, while glossy black provides the backing. The seats offer decent lateral support, and come with both premium cloth and leather as options. You can also get them heated if so inclined. Taller individuals may have a problem with the Mazda3’s headroom, especially in the rear, where the car’s sloping roofline could create an issue. Noise, vibration and harshness (NVH) is also a bit of an issue. 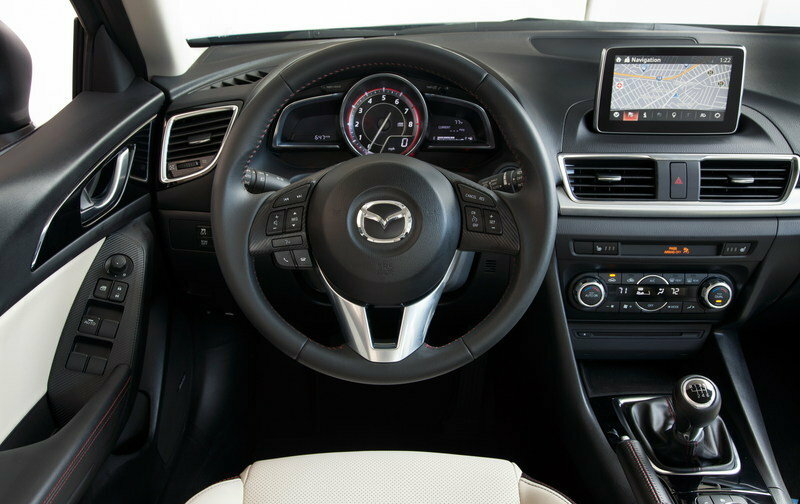 Mazda used additional sound deadening material to help mitigate this, so the new model is more refined compared to previous years, but those expecting an ultra-quiet, buttery-smooth ride should probably look elsewhere. 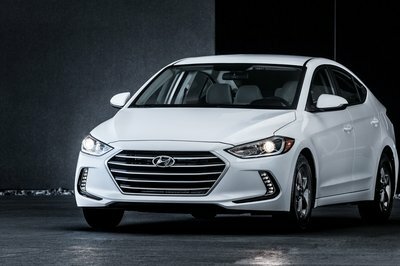 For those with a furry companion to consider, Autotrader recently listed the 2016 Mazda3 hatchback in it’s “9 Must-Shop Cars for Dog Lovers,” citing the five-door’s spacious cargo room, generous back seat and impressive safety features as fantastic features for anyone living the pawed lifestyle. 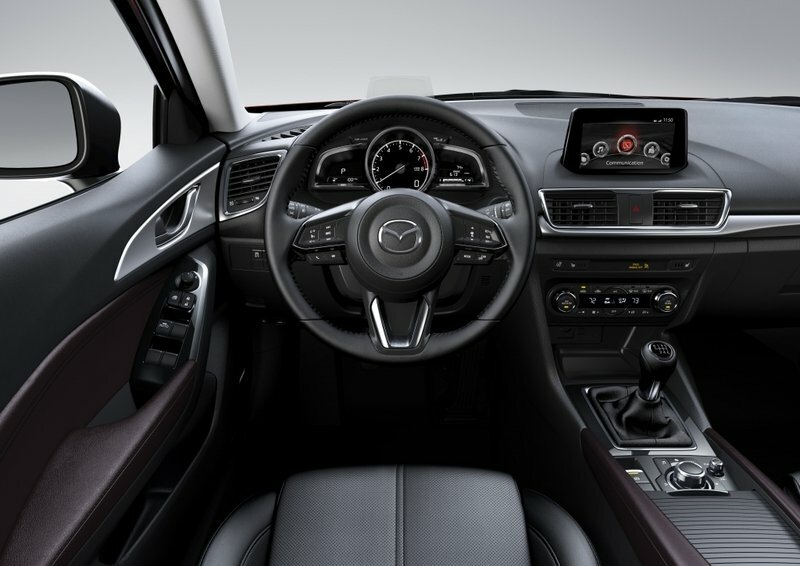 There are some changes to discuss on the interior of the 2017 Mazda 3 as well. To start off, the trim inserts on the door panels and dash have been revised. There is also a new steering wheel. While the steering wheel might look familiar, the bottom spoke now features a shiny finish with a larger center opening while the side spokes have a sleeker button layout with a small chrome insert outlining each button panel. The instrument cluster doesn’t appear to have changed too much, but the tachometer in the center now has a cleaner appearance to it and actually reflects the engine’s true redline limit. Moving over to the central interior area, the most notable change comes in the form of an updated center console. The higher-end trims now feature an electric parking brake and a retractable lid over the cup holders / storage area. The cubby ahead of the shifter is also larger thanks to the deletion of the pop-out tray found on the 2016 model. The HVAC controls have been revised to include slightly smaller knobs that feature a chrome finish to them. The button panel just above the HVAC controls has also been revised – all told, this area looks more modern than before. One last change I want to mention is the update to the infotainment screen. While the screen size hasn’t changed, the overall look has been modernized. By that I mean that there is less of an opening on each side of the screen, which makes the screen look like it is hovering above the dash. The Frame around the screen is now darker and glossy, which increase the modern feel even more. In all honesty, this is how the Mazda 3 should have looked back in 2014 when it entered its newer generation. 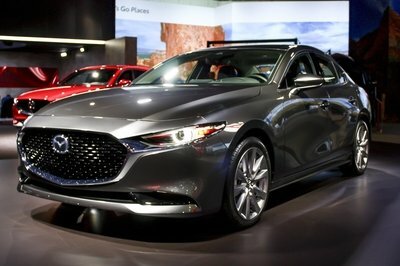 Note: engine from 2015 Mazda3 sedan shown here. 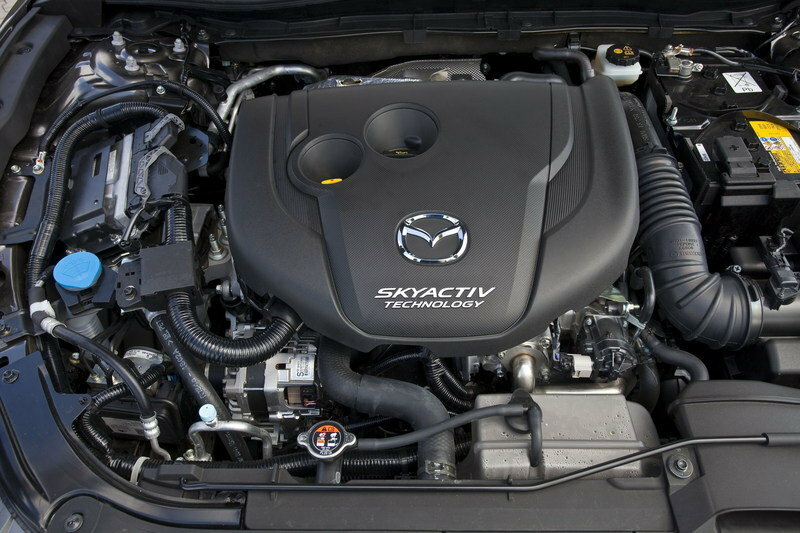 The Mazda3 carries over two Skyactiv engine packages for 2016, including the 155-horsepower 2.0-liter four-cylinder (found in the “i” model) and the 184-horsepower 2.5-liter four-cylinder (found in the “s” model). Both engines can be paired with either a six-speed manual as standard, or the optional six-speed automatic gearbox. All drivetrain configurations can be had in both the four-door and five-door bodystyle. Despite the lack of an efficiency-boosting turbocharger, the EPA still rates combined fuel mileage for the 2.5-liter at 29 mpg, while the 2.0-liter gets 33 mpg. While the extra 30 horsepower is always nice, the biggest difference between the i and the s is in low-end torque. The 2.0-liter puts out 150 pound-feet at 4,000 rpm, while the 2.5-liter makes its 185 pound-feet at 3,250 rpm, which is noticeable when moving to pass or getting frisky in the corners. That said, the 2.0-liter still provides the fun when asked. While delivering a nice wallop when the hammer is dropped, these engines are also more than capable on the commute. Despite the lack of an efficiency-boosting turbocharger, the EPA still rates combined fuel mileage for the 2.5-liter at 29 mpg, while the 2.0-liter gets 33 mpg. It should be noted the 2.0-liter manages to return an impressive 41 mpg on the highway. That’s not too bad for natural aspiration, especially when considering how fun the 3 is to drive. 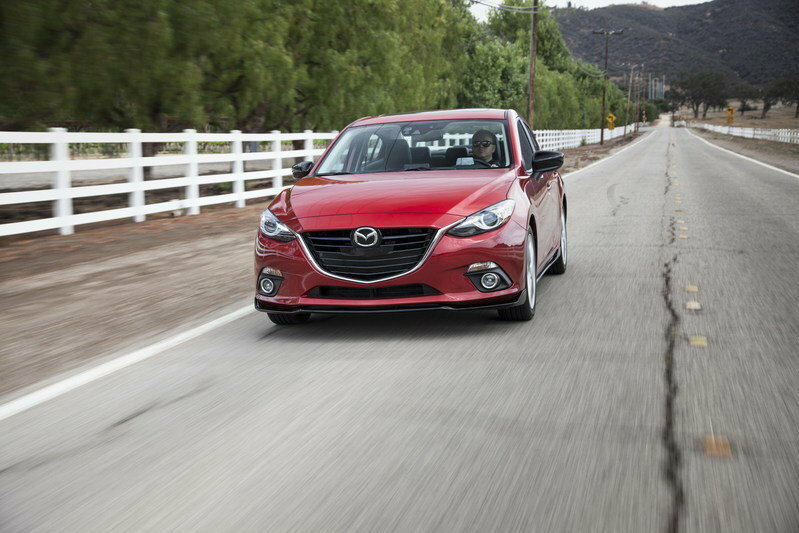 Mazda prides itself on building cars that are a joy behind the wheel, and such is the case for the new 3. Tolerating all that NVH when tooling along the highway starts to make sense when you hit the backroads, with the car’s suspension set up nicely to complement the front-engine, FWD driving dynamics and torque-filled NA engine. The steering is designed for quick inputs and a deft touch, while the transmission slots between the gears satisfyingly. There are disc brakes all around, and the body stays level while cornering. Unlike many compacts, this one will delight in taking the long, windy way home, especially the s model, which comes with a Sport button for sharper throttle response and higher revs from the automatic transmission (although the manual is highly suggested for anyone looking to have fun). There is only one real update in this department to talk about, but it’s a pretty big deal, so don’t fret just yet. 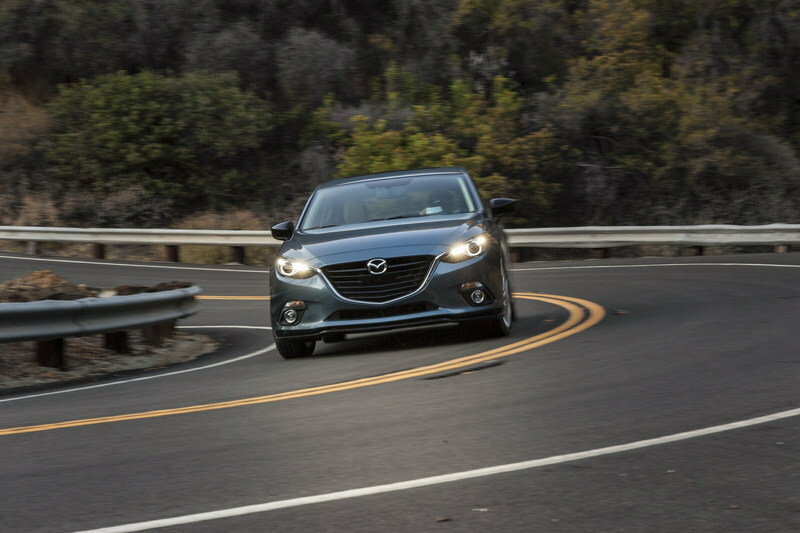 For 2017, the Mazda 3 will now get G-Vectoring Control (GVC) which ties the engine, transmission, chassis, and body together to “enhance the car’s Jinba Ittai feel.” In other words, the car will automatically adjust the engine’s ignition timing and engine torque based on steering inputs to make the car feel more spirited when cornering. The Mazda 3 also gets the i-ACTIV all-wheel-drive system which takes in road conditions and weather in coordination with inputs from the driver to determine the torque split between the front and rear wheels. Like I said before, there aren’t massive updates in this department, but the updates are welcomed and a nice edition to come from a minor update such as this. 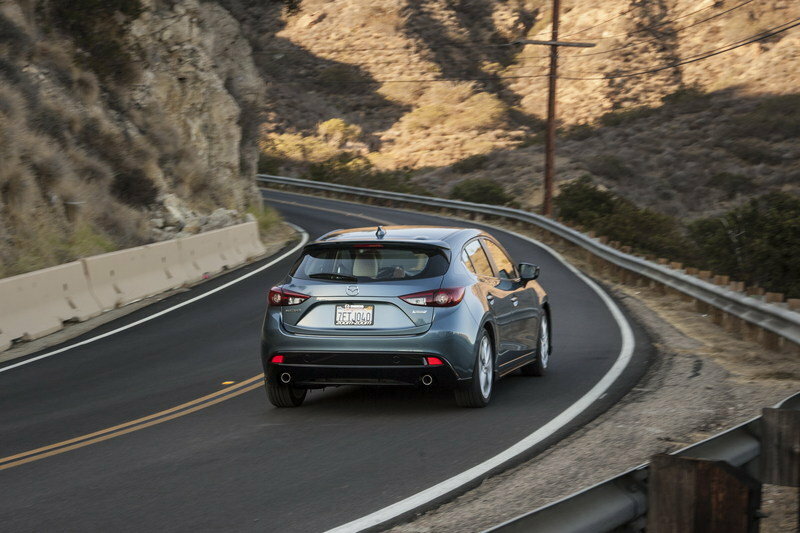 Mazda3 mid-grade Touring trim gets standard Skyactiv-G 2.5-liter engine with 184 horsepower, expanding the availability of the more powerful engine from the Mazda3 Touring 2.5 five-door and Grand Touring model. 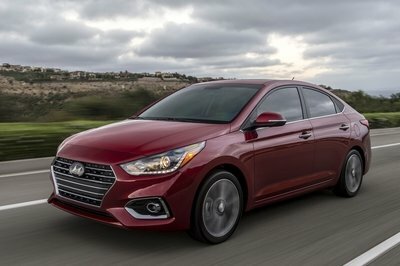 All listed trim levels and packages are available with either the four-door or five-door bodystyle, with the hatch receiving a $700 price increase over the sedan across the board. Dealership deliveries began in late July. The entry-level 2016 Mazda3 is the i Sport sedan with a six-speed manual transmission, starting at $17,845 – an MSRP reduction of $600 over last year’s i Sport. Despite the cheaper price, the 2016 model is equipped with more standard features. It should be noted, however, that Mazda ditched the vanilla-grade, sub-$17,000 SV trim level this year, effectively raising the entry price. That said, the i Sport does come with a lot of nice features, like the Mazda Connect infotainment system and associated 7-inch screen, Bluetooth smartphone connectivity and a six-speaker stereo. There’s also cruise control (radar cruise control is optional in the Technology Package), keyless entry, a trip computer and a single button starter. The Preferred Equipment Package is new for 2016, and throws on several features for both the exterior and interior. On the outside, the steel wheels are replaced by 16-inch alloys, the beltline is brightened with new trim, the dual-power side-mirrors are color matched to the body and receive integrated turn signals and a heating function, the headlights get automatic on/off functionality, and the windshield wipers are rain-sensing. Inside, passengers up front get sport seats upholstered in premium cloth trim, while in the rear there’s an armrest with integrated cup holders. Safety is also enhanced thanks to Blind Spot Monitoring and a Rear Cross-Traffic Alert. Pricing is an extra $1,000. The Touring trim retains all of the features from the Preferred Equipment Package, but throws a little more on top. The exterior gets halogen fog lamps, while the sedan model also gets a tasteful rear spoiler. Inside, additional features include Mazda’s Advanced keyless entry, which differs from the standard keyless entry system with “request switches” placed on the door handles, allowing access without requiring the user to take the key fob out of their pocket. The Advanced system also allows for additional customizability (such as unlocking all the doors with a single request) through the Mazda Connect infotainment system. The Touring package adds leather and contrast stitching to the steering wheel, shift knob and handbrake handle. There’s also a moonroof. 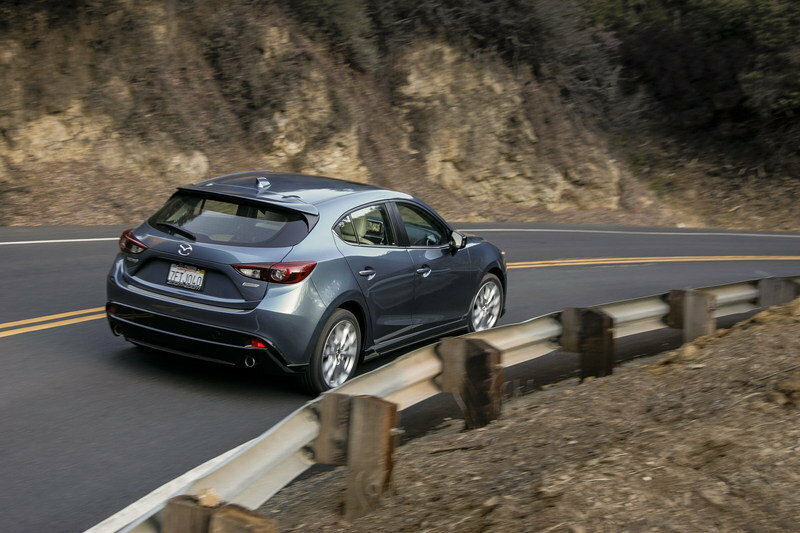 Finally, the Touring model is the cheapest Mazda3 trim level equipped with the more potent 2.5-liter engine. 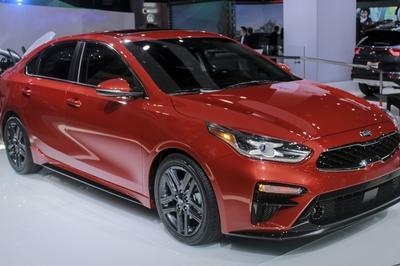 Pricing starts at $20,045 for the i Touring sedan with a six-speed manual transmission. 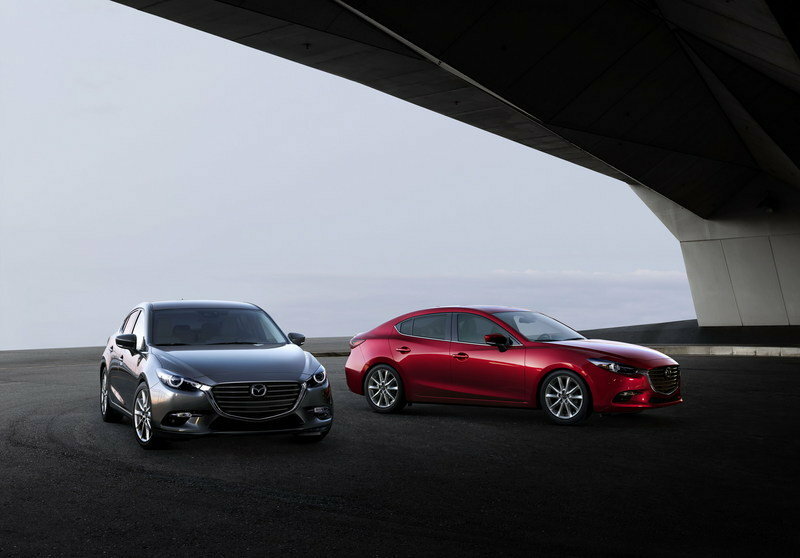 The Popular Equipment Package is also new for 2016, available for Mazda3 models at the Touring trim level. This package adds a variety of infotainment system upgrades, such as a Bose nine-speaker surround sound stereo equipped with Centerpoint 2 and AutoPilot technology. There’s also SiriusXM satellite radio, complete with a free four-month subscription, and a CD player. Climate control is enhanced with an automatic dual-zone system for the driver and front passenger, while the interior rearview mirror gets an auto-dimming function. Finally, a shark fin antenna is present on the roof. Pricing is an extra $1,100. At the top of the line is the Grand Touring trim level, which is available for both the 2.0-liter i models and 2.5-liter s models. However, appointment differs depending on which power plant is picked. For the i Grand Touring, the front seats receive a heating function and leatherette upholstery, while the infotainment system gets navigation. Meanwhile, the s Grand Touring also gets navigation and heated front seats, but replaces the leatherette with real leather upholstery. The s Grand Touring also gets sporty-looking 18-inch wheels and adaptive HID headlights, both very nice features for this segment. Pricing starts at $22,545 for the i Grand Touring sedan with a six-speed manual transmission. Anyone looking to spec out their Mazda3 Grand Touring to the fullest can opt for the Technology Package, an option only available on models equipped with the 2.5-liter engine. This package includes Mazda’s i-Eloop, an energy regeneration system that converts kinetic braking energy into electricity, feeding a battery that powers the vehicle’s accessories, boosting fuel-efficiency in the process. The Technology Package also throws in Mazda’s i-ActiveSense features. These are designed to improve safety, and are usually found above the compact segment. They include Smart City Brake Support for stop-and-go traffic, Forward Obstruction Warning, a Lane Departure Warning System, and automatic High Beam Control. Finally, the cruise control is enhanced with an adaptive radar system. Pricing is an extra $2,600. Mazda3 Grand Touring offered with the Premium Equipment Package, which lumps together several previously separate features into one package. These include a pivoting Adaptive Front-lighting System, heated steering wheel, paddle shifters (automatic transmission only), the Mazda navigation system, an auto-dimming rearview mirror with Homelink capability, High Beam Control, a Lane Departure Warning System, Lane Keep Assist, Mazda Radar Cruise Control, Smart Brake Support, and Traffic Sign Recognition. Anyone worried about vehicle safety will be more than satisfied with the Mazda3’s crash-test ratings. 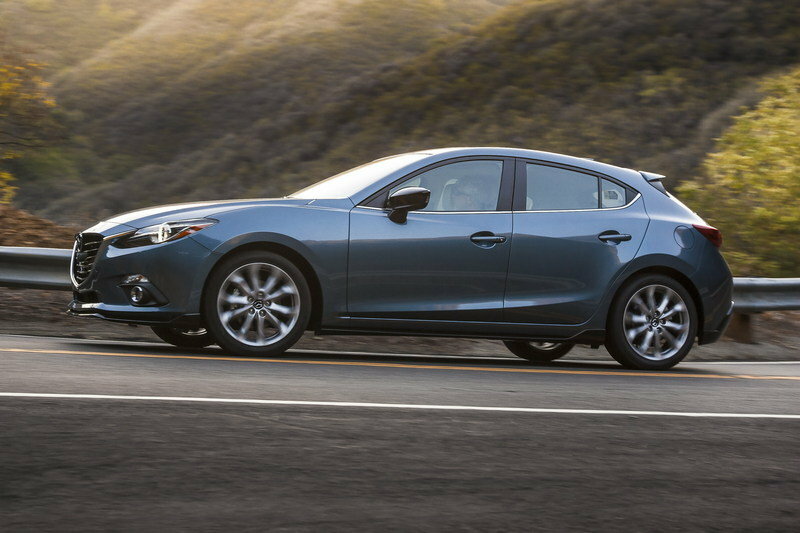 The Insurance Institute for Highway Safety deemed the 2015 Mazda3 as a Top Safety Pick+, with the car earning its highest results in small overlap front, moderate overlap front, side, roof strength, head restraints and seat crashworthiness. While the Institute has yet to rate the 2016 model, similar results are expected. That said, the National Highway Traffic Safety Administration has awarded the 2016 Mazda3 with its highest five-star safety rating. All 2016 models are equipped with an extensive airbag system as standard, including front and rear head airbags and dual front side-mounted airbags. Combined with a post-collision safety system, emergency braking assist and the optional i-ActivSense safety features, the 3 is considered one of the safest cars in its segment. 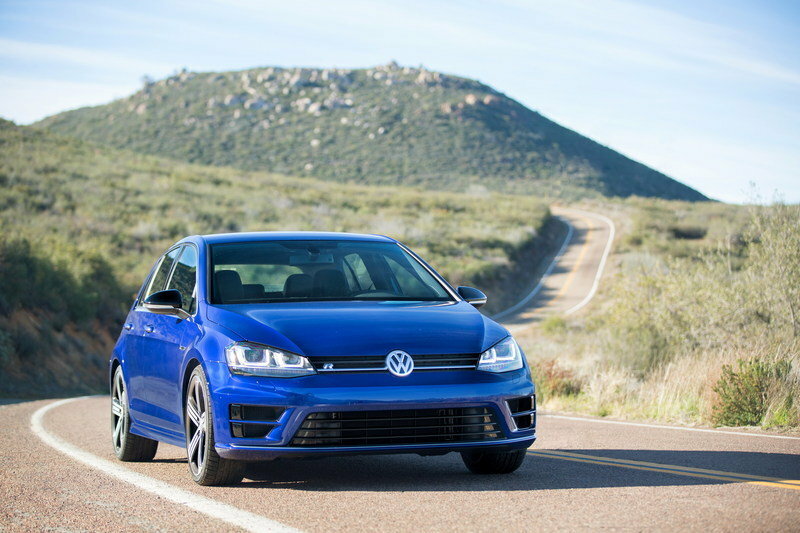 No matter where you’re going or what you’re doing, Volkswagen has you covered with the 2016 Volkswagen Golf R. Spanning seven generations, the latest model is a bit longer, lower and larger on the inside. Buyers can choose between either a 1.8-liter turbo gasoline power plant or a 2.0-liter TDI oil burner. Alternately, you could go for the more exhilarating GTI model. Each has handsome styling and the feeling of upscale quality over competitors. However, you’ll need to pay to get the same fun as a base model Mazda3. 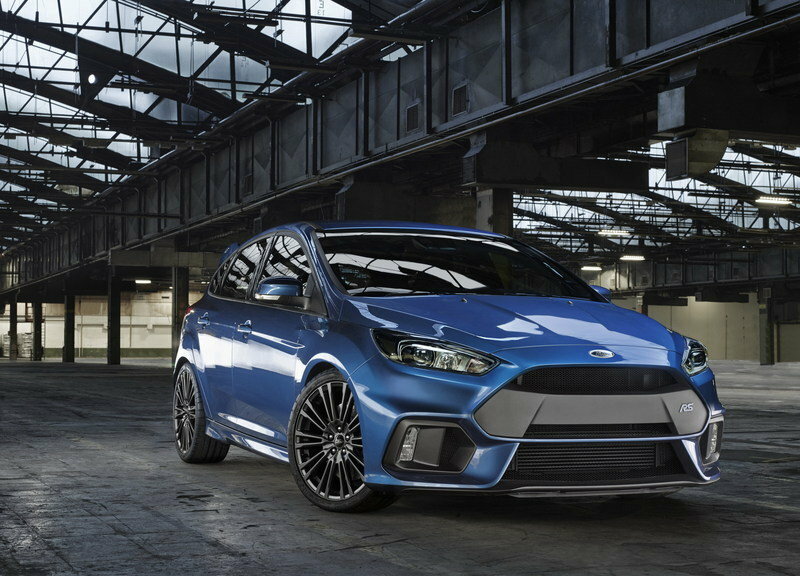 Note: 2016 Ford Focus RS shown here. In the game of do-it-all compacts, Ford is one of the biggest players with its Focus. Efficient, neatly styled, and sporting a well-tuned chassis, the Focus comes as both a four-door sedan and five-door hatch. Under the hood is either a 160-horsepower 2.0-liter four-banger, or the more mpg-friendly 123-horsepower 1.0-liter turbocharged three-cylinder. 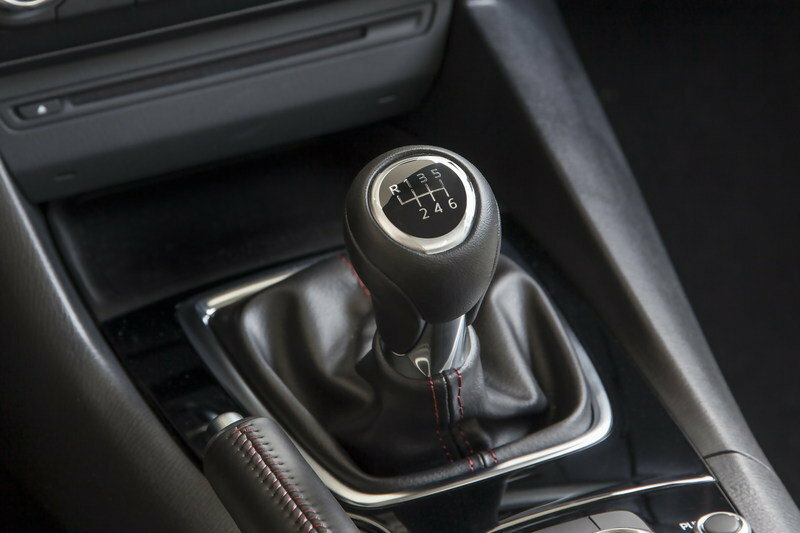 Buyers can opt for the six-speed dual-clutch automatic gearbox or a five-speed manual. While speed lovers will need to shell out serious coin to get into the supercar-esque 2016 Ford Focus RS, the base model can be had for as little as $17,170. 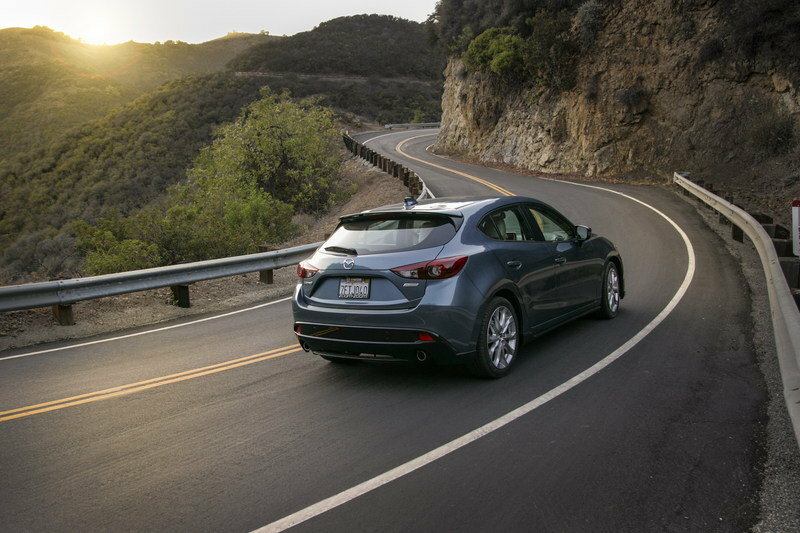 Without a doubt, the Mazda3’s greatest strength is how much fun it is to drive. The zoom-zoom company has a history of putting out models with a healthy dose of sporting intent, and it shows with the 3. The car is responsive, lively, and simply begs for a little tossing around. 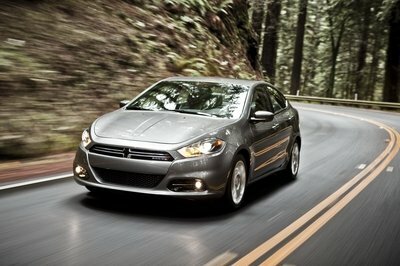 However, while other nippy compacts concede safety, efficiency or price to get that speed, the 3 doesn’t. Even without the optional safety equipment of the Technology Package, the 3’s crashworthiness is one of the highest in the segment. Both its engine packages return solid mileage, especially the 2.0-liter. And starting at $17,845, it’s hard to beat the value, especially when considering standard features like Connect infotainment, six-speaker audio and Bluetooth connectivity. The biggest drawback would have to be the slightly bumpier, noisier ride, a direct result of the fun-in-the-corners characteristics. But if you can tolerate a bit of jostling every so often, you’ll be rewarded with a compact that really can do it all. Mazda North American Operations today announced pricing for the repackaged 2016 Mazda3 four- and five-door models, starting at an MSRP of $17,845. For 2016, the new Mazda3 Touring Popular Equipment Package is available, adding an auto-dimming interior mirror, dual-zone (driver and front passenger) automatic climate control system, Bose® nine-speaker surround sound system with Centerpoint® 2 and AutoPilot® 2, SiriusXM satellite radio with four-month subscription, a CD player and shark fin antenna.